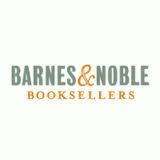 Barnes & Noble warned that its third quarter results will be lower than the previous year, partly due to losses in the Nook Media division. The company has not been successful investing in digital media over the last few years. The problem that Barnes & Noble faces is not loss of sales, but how it can focus on licensing digital content and move away from manufacturing devices. The Nook HD earned positive reviews going into the holiday season in 2012 with its 7-inch and 9-inch tablet. CNET called the device “a fantastic tablet value” and David Pouge of the New York Times wrote the Nook “is the one to get” when comparing it to the Kindle Fire. Sales did well over the Christmas season, but did not gain enough market share. Companies like Apple, Samsung and Amazon made it difficult for the Nook to make the impact Barnes & Noble needed for its success. Sarah Rotman Epps, a senior analyst at Forrester, said, “In many ways it is a great product.” She further stated, “It was a failure of the brand, not the product.” Others agree that the Nook is a solid product in a very competitive segment that is shared with companies like Apple and Google who already have large followings. The company is not in any immediate danger of closing and still holds a quarter of all digital book and magazine sales. Barnes & Noble executives are working to ensure the company’s future success in digital content. Unison Advisors LLC Acquires 258 Shares of CVR Energy, Inc.